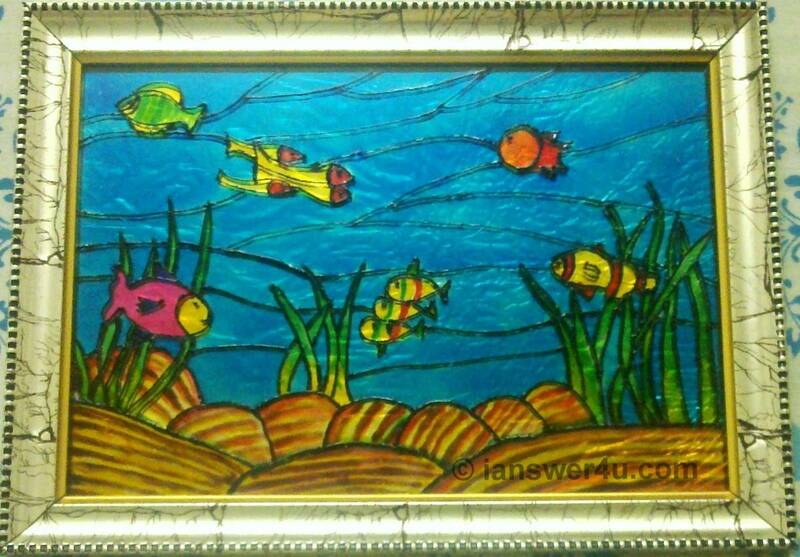 Glass painting is a contemporary art which has been derived from the age old art of stained glass painting which involves putting smaller coloured pieces of glass together. It was a common feature in high windows and doors etc in the olden times and can still be seen in churches and old buildings. These days glass painting is becoming a popular feature and catching up as a hobby due to its awesome results and easy availability of glass painting equipment. Many companies launch glass painting ideas for hobbies. They can have different levels like beginners, which is basically for experimental purpose for children. At home (as a hobby), glass paintings can be as wall hangings, wine glasses painting, on windows, acrylic sheets, cups, mugs, tiles, mirrors etc. If you are interested in glass painting and want to try it, go ahead and experience the joy! All you need is a glass piece, sheet of paper of almost same size as that of the glass sheet, glass paints, an outliner, a design, silver foil (if required) and some amount of patience. Water based acrylic glass paints are readily available in market. They are ready to use, convenient and suitable for beginners. Do not be afraid of mistakes as they can be removed after the painting has dried. This can be done for the outliner and paint, both. They can be carefully scraped off with a paper knife etc. But this has to be done very carefully as it can also put scratches on the glass. Cotton can also be used to wipe off the wet paint or outliner in case of a mistake. 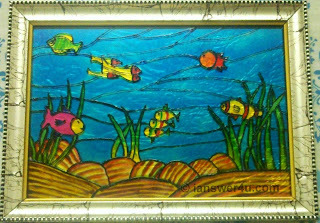 The most common and easiest glass paintings designs are that of peacocks, floral, marine life etc. These days stencils are also available, so if you are not too confident about your drawing, you can take their help. Glass paintings look most beautiful when illuminated by sunlight. The sun rays going through the transparent coloured glass gives it a glow that no other artificial light can give. It looks simply awesome! (however, too much exposure can sometimes result into fading of colours). Some glass paintings are framed with silver foil to reflect light to create a similar effect. This technique can be used when it is not possible to expose the painting to required amount of light.